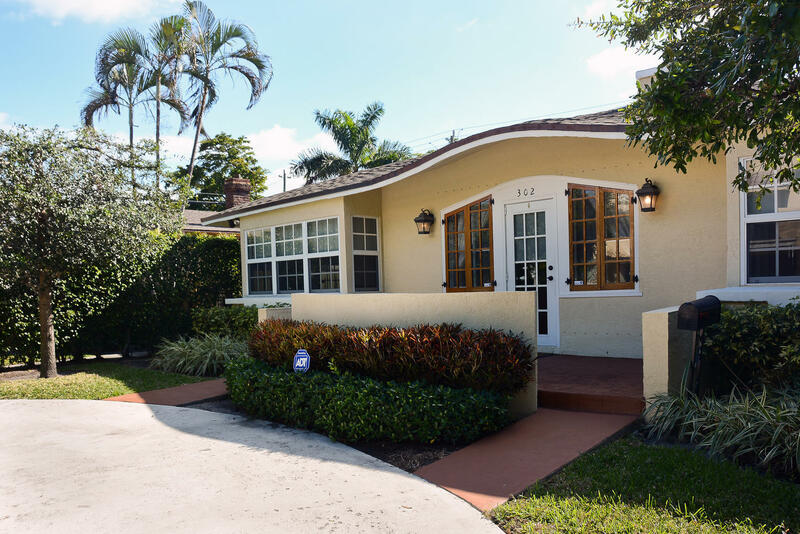 All CARLBERG COURT ADD 1 homes currently listed for sale in West Palm Beach as of 04/21/2019 are shown below. You can change the search criteria at any time by pressing the 'Change Search' button below. "Located in Toni Mango Promenade, this lovely Historic area boasts fine restaurants ( Table 26 and Grato) and walking distance to the Norton Museum, downtown, short distance to beach. This home was redesigned from the studs, blending old world charm with modern amenities. The main home is a two bedroom convertible to a three, high ceilings, walk-ins, with a separate cottage with full bath. Hard wood floors and granite kitchen, complement the decorative coffered ceiling and stone fireplace. Fine finishes and unique stone floors. Lovely eyebrow roof line for charm throughout. Close to Palm Beach Day and many other school options. The cottage is separately metered. Main House is approx. 1823 square feet, cottage is approx. 316 square feet. Great rental property. Available for rent. Newer A/Cs"